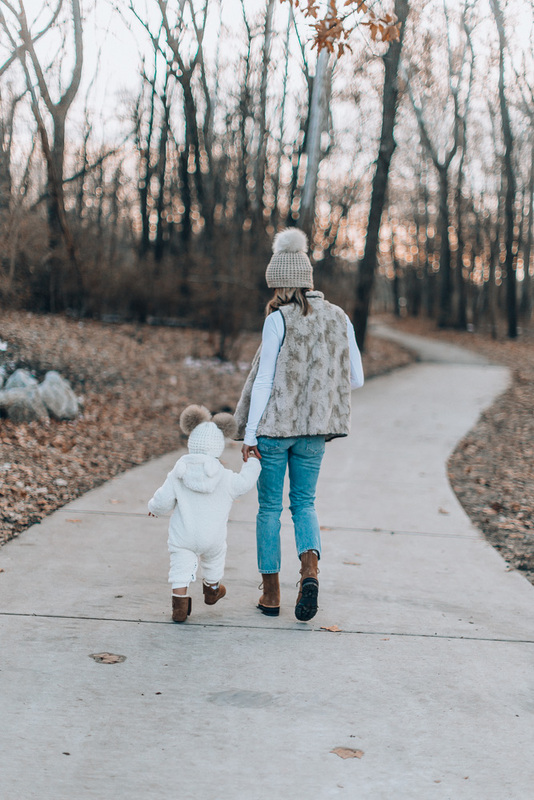 Confession: I’m totally one of those moms who loves coordinating with her kids. At least a few times a year and until they grow out of being OK with it! As the seasons change I’ll usually share a look or two because I just can’t help but to do one for all the different times of the year. For winter this year, I decided to go extra cozy. I mean, look at Greyson’s hat! Isn’t it the cutest? 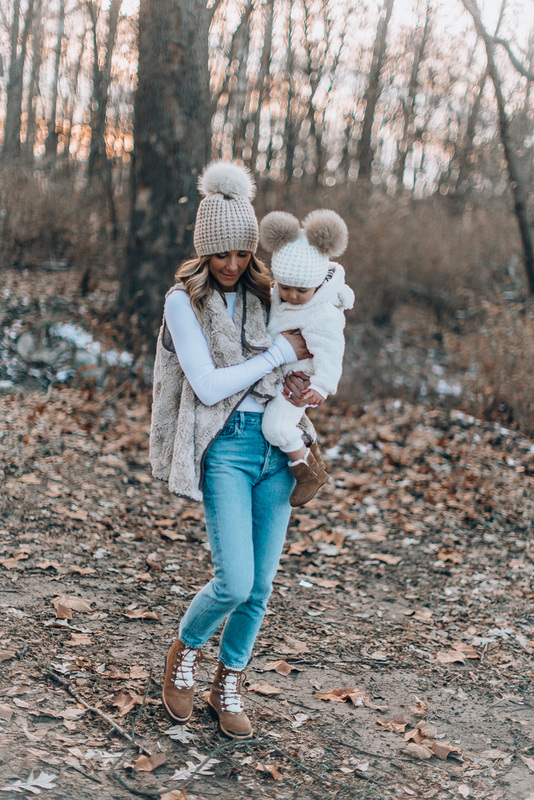 If you want to do a similar look with your mini, these are all the cold weather accessories I pulled together for our outfits. 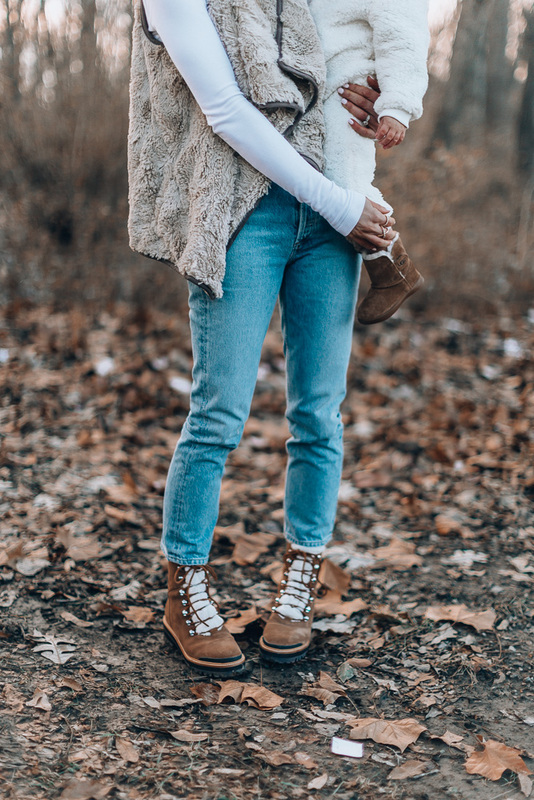 I didn’t want us to wear just any boots for this look, I wanted them to very cozy and extra warm. So, I opted for this pair for me and this pair of Greyson. I love mine because of the fleece, but it’s not overpowering. 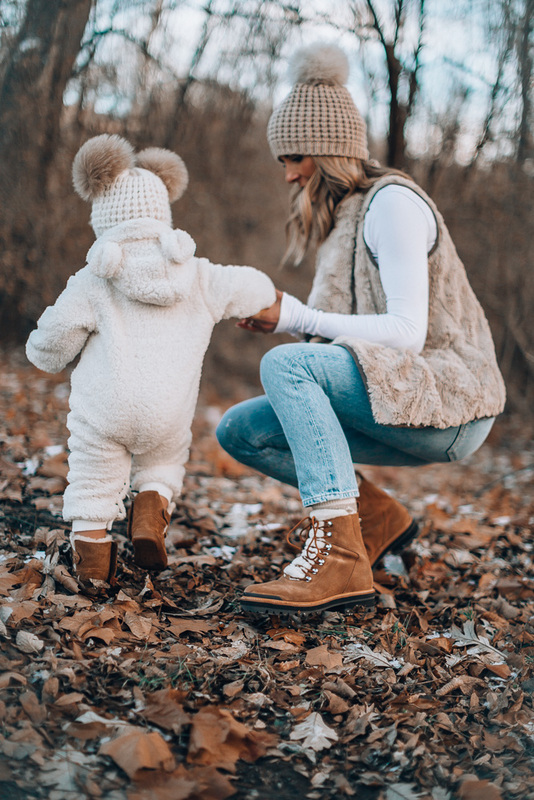 And can you ever go wrong with little slip-on booties for little ones? Too easy. 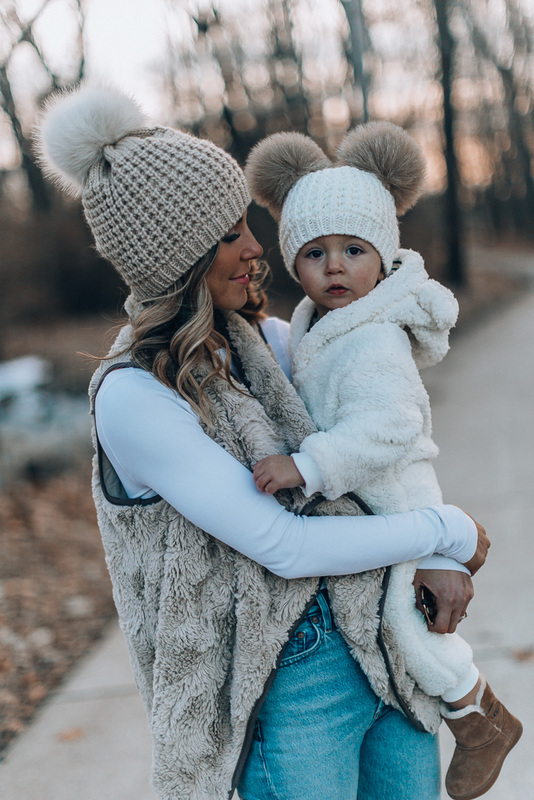 Greyson’s pom beanie might be my favorite detail of this entire look. I love mine, but his with double poms is perfection. So fun and playful! You can snag mine here and Greyson’s here. 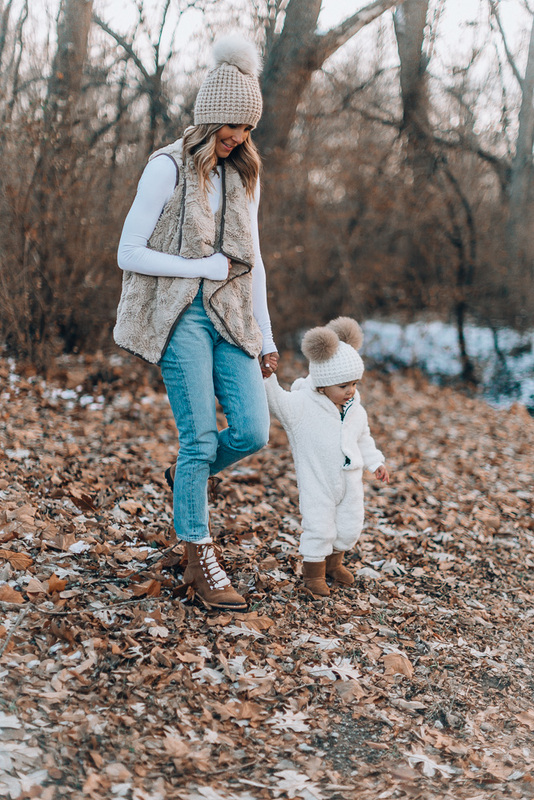 It’s definitely faux fur season in our house. I like this one in particular because it’s not too bulky. 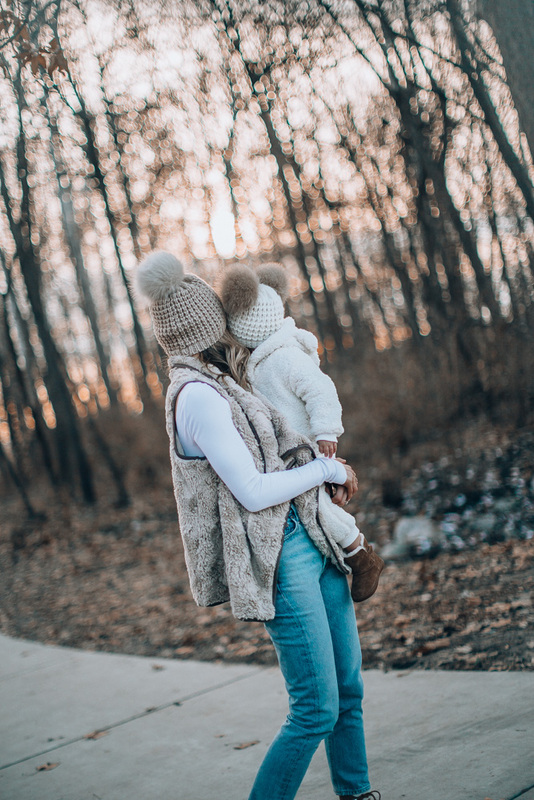 It lays really nicely and still keeps me warm without looking like a giant ball of fluff 😉 It’s under $70 and comes in a few colors! 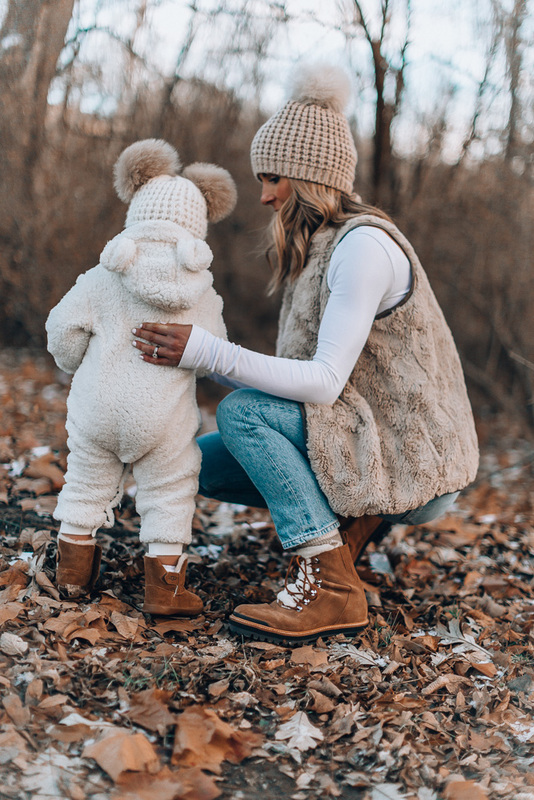 This teddy suit is the absolute cutest! 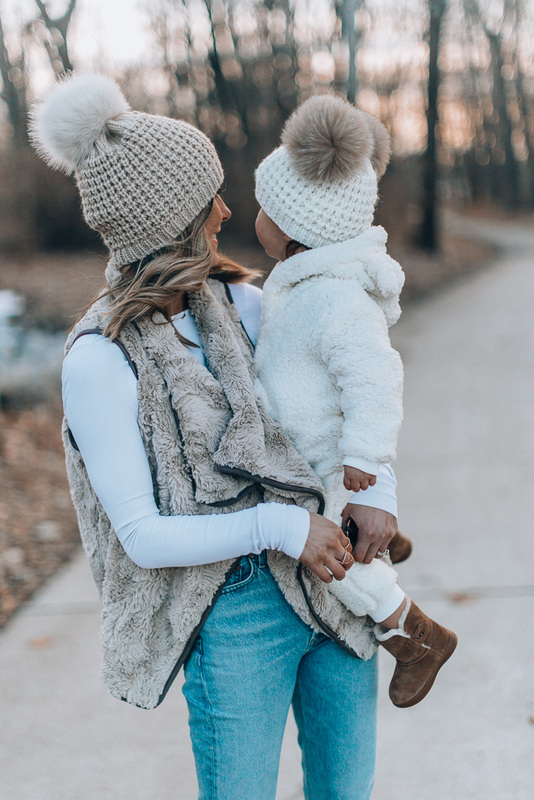 It’s very soft and has an attached hood, so if you decide to skip the pom beanie, you can just pull up the hood. I picked it up not long ago, but I wish both Sutton and Greyson could wear it forever. Wishful thinking, I know. 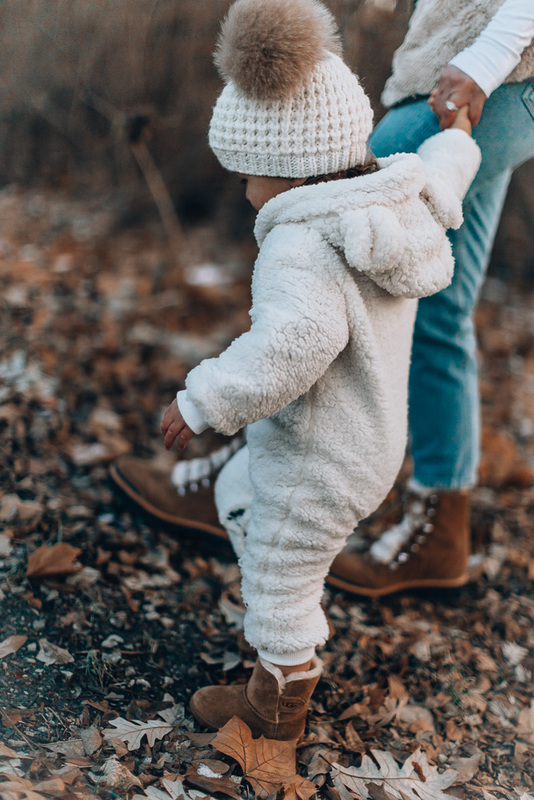 Now you’re ready for your mommy and mini winter photos! 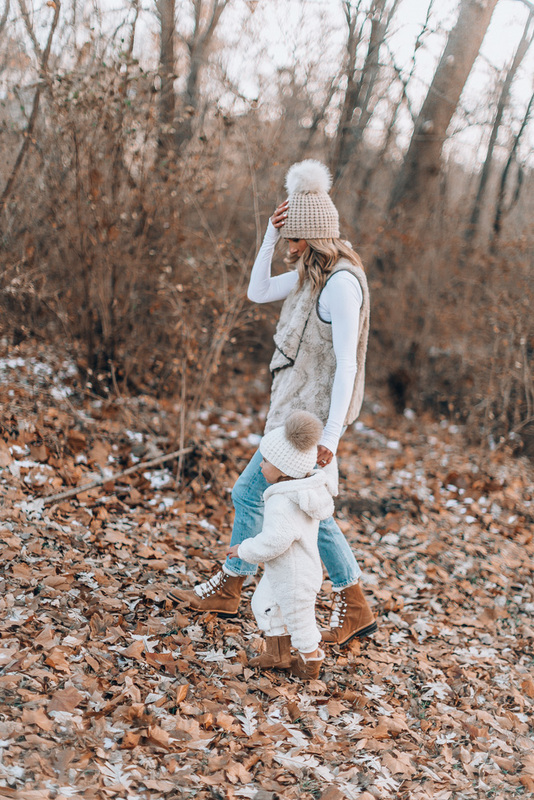 Do you like coordinating your outfits with your kids as much as me?